Obviously, we lean towards vaping over combustion (aka smoking). When it comes to efficient delivery of cannabinoids and getting the cleanest, smoothest hits possible, vaporization is the way to go. 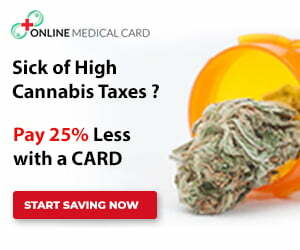 But, anything that cools down and filters smoke or hot vapors surely enhances the cannabis experience. That’s why we’re fans of products like the Zeus IceBorn air chiller and Hydrology9 water-filtration vape. Occasionally, we’ll take it old school and turn to rolling papers when we don’t have a vape handy. If we’re going to smoke papers (blunts or joints), we might as well do it with a little water-filtration! Introduced to us by VapeWorld, we recently got the chance to try the Martian Blunt Bubbler. 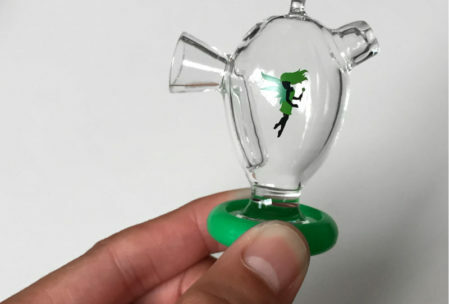 This nifty little glass bubbler is made for smoking papers and all your rolled up cannabis goodies! The Martian Blunt Bubbler is made of high quality, durable borosilicate glass. The Martian is incredibly easy to setup and use. 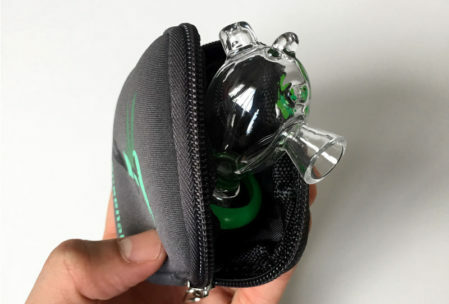 It’s got a carb hole to control the airflow, allowing for giant rips, and also has a pendant hook to string the Martian onto a necklace or around your wrist to keep it handy. The Martian is a fun smoking accessory. Smoking a joint through the Martian bubbler allows you to take huge puffs, thanks to the carb hole and mini glass chamber. It uses a tiny splash of water but makes for a heavy hitter. It seems like a novelty item, but if you smoke a lot of rolled papers, do yourself a favor and use the Martian to take it easy on your throat and lungs. 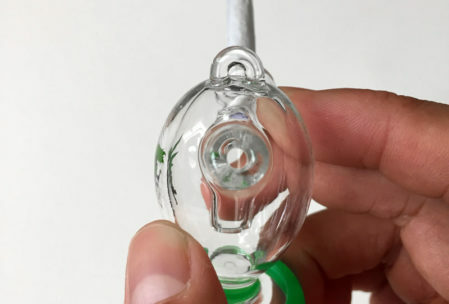 Beware as this bubbler allows your to burn through joints extremely fast. The Martian is a simple smoking accessory. Fill the Martian with water until it’s about 1/3 full. Then pop in your blunt or joint into the wide opening. Spark up and enjoy! 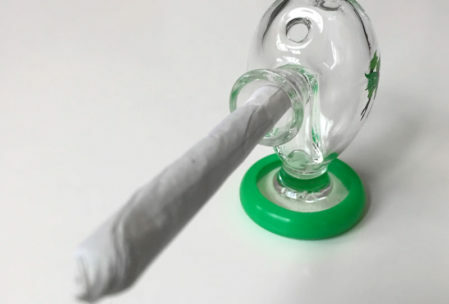 Since the bubbler holds your rolled paper, you can roll your joints without a crutch/mouthpiece at the tip. This will make it easier for the Martian to hold the joint in place and will also allow you to smoke all the way through to the end. Since the Martian bubbler is tiny, it can get gunked up quickly. Keep it clean by cleaning it often. Fill the device with isopropyl alcohol and some table salt. Give it a good shake and thoroughly rinse out before use. The Martian Bubbler is available for $24.99 directly through VapeWorld. 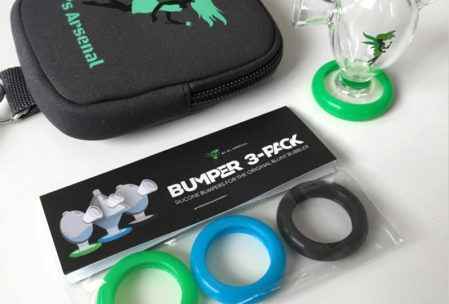 MJ Arsenal also offers a pack of colored rubber bumpers to protect your glass as well as a padded carrying case. The bumpers and case are not included with the Martian. 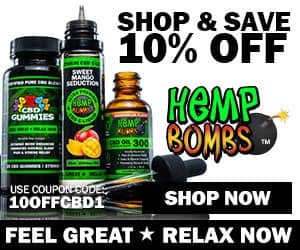 All available through VapeWorld.